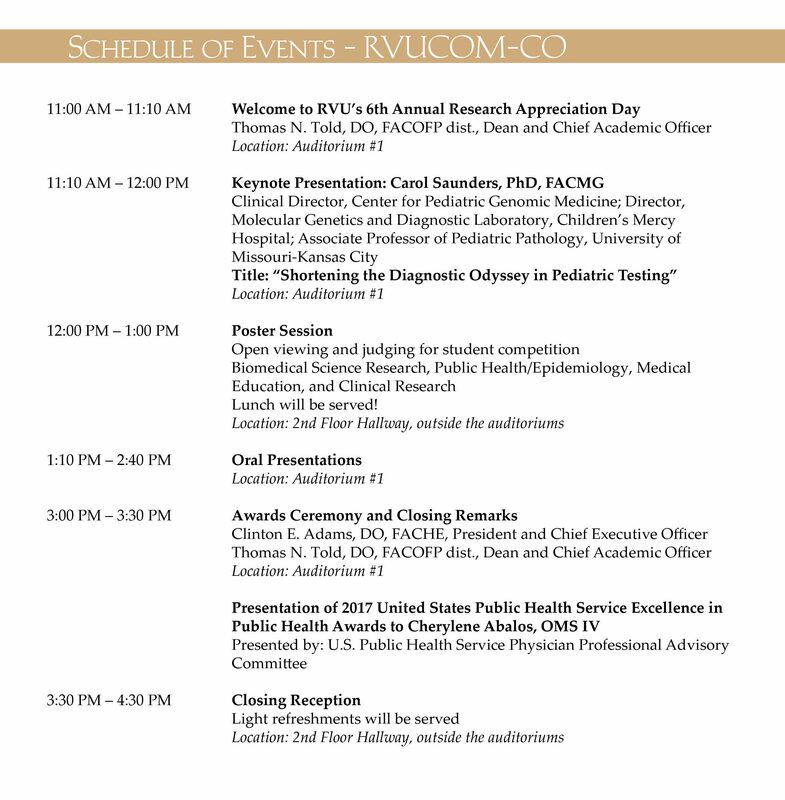 RVUCOM to Host Research Appreciation Day on Nov. 7th! 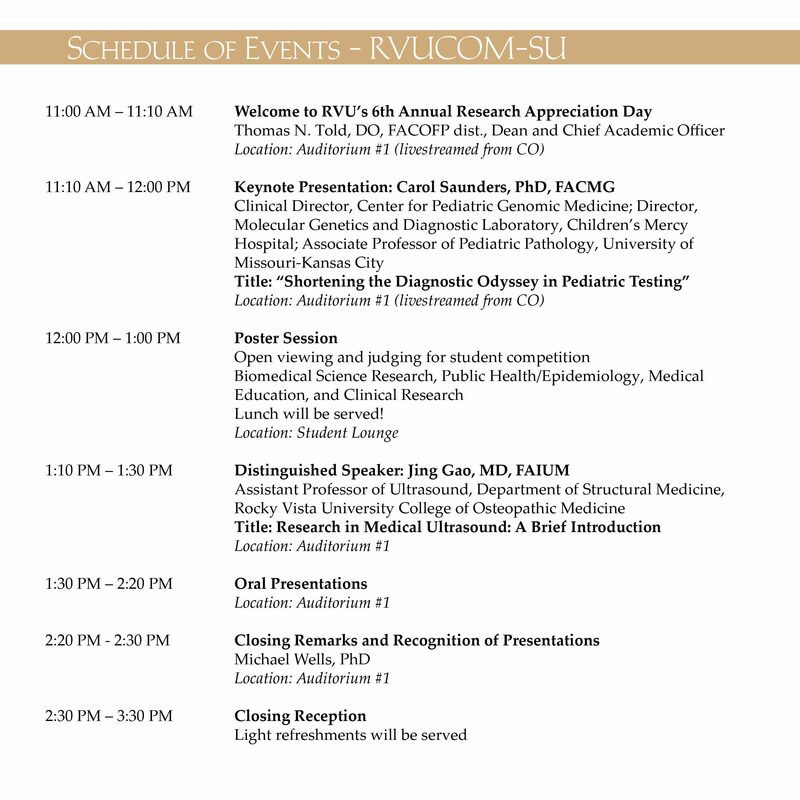 RVUCOM will be hosting its annual Research Appreciation Day event at both campuses on November 7th. This year’s theme will be “Molecular Diagnostics,” with the keynote speaker being Carol Saunders, PhD, FACMG, Clinical Director for the Center of Pediatric Genomic Medicine at Children’s Mercy Hospital in Kansas City, Missouri.